After our Whisky Ladies conquered a cask strength Diwali and then went on a mini ‘world tour’ in November, you might think we would go slow for December. After all – our collective livers need to survive the holiday season!! What we decided instead is to go Goan.. in honour of a merry malt member abandoning Mumbai for SanFran. She, quite understandably, wanted to squeeze in every desi moment remaining. Naturally this was a perfect excuse to pull out the Paul John expressions, courtesy of master distiller Michael John. Paul John is India’s “other” single malt whisky distillery found in South Goa. Since launching their first whisky to the world in 2013, they have been making their mark. Here is what the lasses thought! Observations – Pairs well with food – especially cheese! Taste – Sweet and a bit spicy if you take a serious swig, hold and let it linger. Nice warm burn. Taste – Hickory, smokey, warm and sweet, rich, a little rough with character – in a way that we like! Fabulous balance of peat and sweet, fruit and earthy elements. Again – yum! Finish – Here was where we found peat – a lightly peaty finish with walnut. Some found it slightly bitter, others found it wasn’t bitter at all – particularly when compared with the bitterness of the Edited finish. 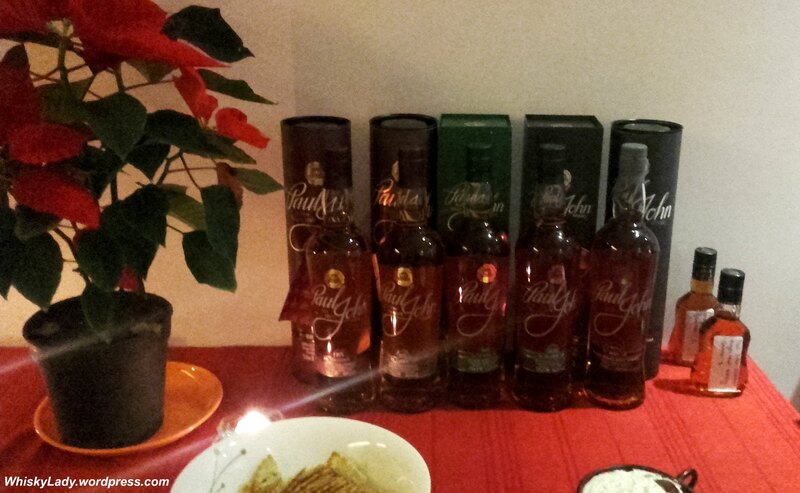 As you can see… the Peated was ‘dipped’ into again after our initial tasting. I do believe that is a rather obvious sign that we liked it rather a lot! 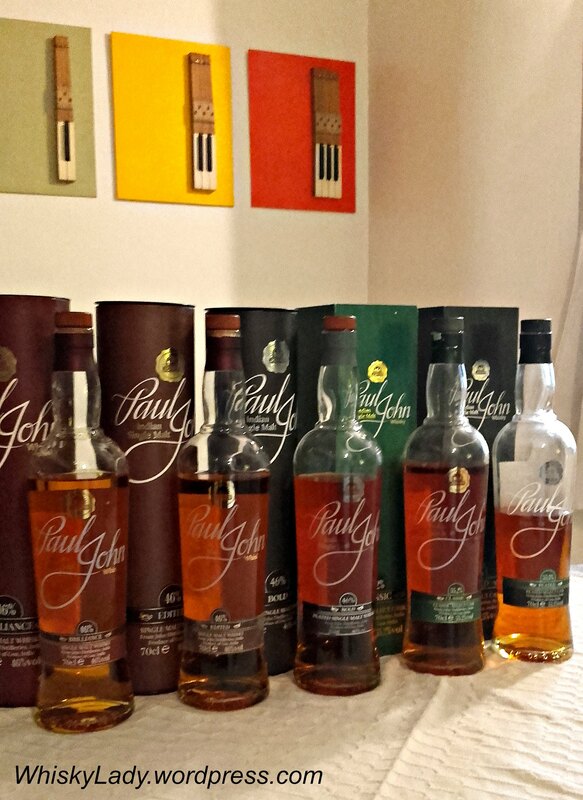 This entry was posted in Beyond Scotland, India and tagged #WhiskyLady, #WhiskyWomen, Compass Box, Goan Whisky, John Distillery, Paul John, Paul John Bold, Paul John Brilliance, Paul John Classic, Paul John Edited Tasting Notes, Paul John Peated by Carissa Hickling. Bookmark the permalink.